You might ask: what is a Myrtle Beach executive golf course? The answer is simple. A Myrtle Beach executive golf course is one that is shorter than a regular golf course, with a lower par and consists of the majority of the hole being par-3s. An executive Myrtle Beach golf course is designed for speedier play than your traditional course, and is made up of the majority of the holes being par-3’s, but you can have a couple par 4’s and rarely a par-5. Instead of a par of 70-72, Myrtle Beach executive golf courses will range from 54 to 65 as the 18 hole par. Due to the shorter length of the Myrtle Beach executive golf course, we find that these courses are perfect for a junior golfer, those that are just beginning golf and also those that are short hitters as the length of the course is shorter compared to a traditional golf course. But, with that being said, anyone can enjoy a great round at a Myrtle Beach executive golf course. Most Myrtle Beach executive golf courses are pair with an excellent driving range and practice facility. 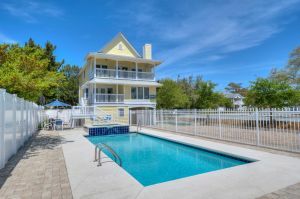 You may also find a Myrtle Beach executive golf course with another more traditional golf course. This gives golfers options, especially if they are short on time, but still want to get a round of golf in. Is there a difference in a Par-3 Course versus a Myrtle Beach executive golf course….. yes. A Par-3 course is just that – only Par-3’s. 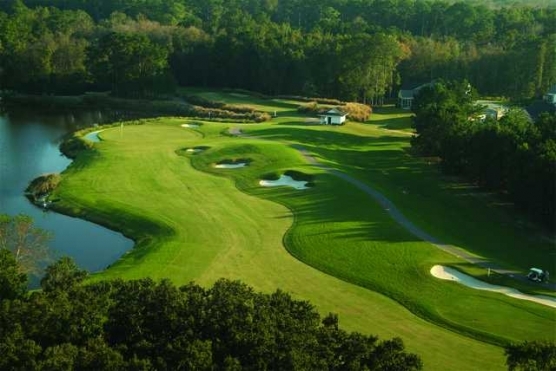 A Myrtle Beach executive golf course may contain a few par-4’s and even a par-5. Where can I find an executive golf course in Myrtle Beach? Several of the above Myrtle Beach executive golf courses and Par-3’s are also lighted, so you can experience the game of golf even after the sun goes down.